Over the years The College of New Jersey has developed a tradition of graduating students well prepared for the changing business environment. TCNJ’s School of Business received its initial accreditation from AACSB International in 1997 and was fully re-accredited in 2017. A TCNJ business education will be an intellectually challenging and maturing experience that prepares students for their future careers, and to be responsible members of the broader social community. TCNJ’s School of Business is located on the main campus in Ewing, NJ. 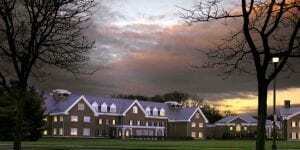 The campus is situated in central New Jersey, and is approximately 15 minutes away from downtown Princeton. 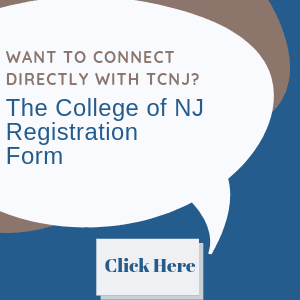 Additionally, TCNJ is conveniently located between New York City and Philadelphia metropolitan areas. The School of Business’ home is in the Business Building which include computer labs, meeting rooms and financial learning center (Bloomberg terminals). Our 41 faculty are dedicated teacher-scholars who bring both expertise and experience to the business classroom. All are recognized as experts in their fields, conducting innovative research into theory and practice that continually transforms the way business is understood. Many are distinguished for their professional careers, sharing direct insights into how products are developed, assets are invested, people are managed, and companies are guided to greater responsibility and prosperity. There are between 1200 and 1300 students currently enrolled in the College of New Jersey School of Business. The College of New Jersey School of Business offers a Hybrid MBA program.